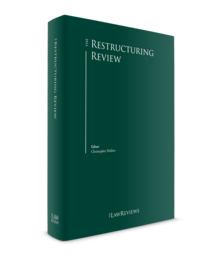 I am very pleased to present this eleventh edition of The Restructuring Review. As with the previous editions, our intention is to help general counsel, private practice lawyers and the public sector understand the conditions prevailing in the global restructuring market in 2018, and to highlight some of the more significant legal and commercial developments and trends that have been evident in recent years, and that are expected to be significant in the future. The global economic upswing, which began in 2016, continues to strengthen with global GDP growth reaching 3.9 per cent in the second quarter of 2018 and expected to increase further in the second half of 2018. World trade growth accelerated by 4.7 per cent in 2017, following trade growth of only 1.8 per cent in 2016. 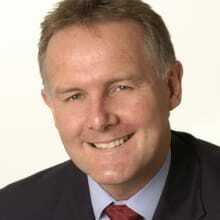 This is largely driven by cyclical improvements and an increase in investment growth in developed economies. Despite a forecast of 3.2 per cent world economic growth in 2018, rising trade tensions, increasing public debt levels and geopolitical issues loom large over the global economy. The escalating trade war between the United States and China over import tariffs as well as the United States’ imposition of tariffs on steel and aluminium imports from the European Union have caused alarm across global markets and concern about the potential impact on global trade and economic growth. Alongside the potential souring of global trade relations, the eurozone economy lost momentum in the first half of 2018 as a result of slower export growth because of a stronger euro and a reduction in household spending owing to declining confidence. Political instability in Italy and Spain have also caused bond yields to spike and have spooked both European and global stockmarkets. The extent of national public debt in the eurozone and concerns over the political directions of major European economies have been reflected in market activity. Against the backdrop of increasing inflation in the eurozone, the European Central Bank has committed to end quantitative easing by the end of 2018. The question of eurozone reform is also in the spotlight as the leaders of Germany and France present different visions of a reformed European Union. Meanwhile, the negotiations between the United Kingdom and the EU continue after agreement was reached over key ‘divorce’ issues and a 21-month transition period. The nature of future relations remain subject to the outcome of negotiations, with a view to reaching agreement by 29 March 2019. More broadly, the increasing tensions surrounding the Middle East and Russia show no indication of being resolved. The sanctions regimes imposed on Russia and Iran appear to be having the desired effect on those economies, but also present economic opportunities for countries willing to strengthen economic ties. In a rapidly changing global environment, international relations between the world’s major powers seem ever more fragile. While, of course, no credible predictions as to the consequences of the above factors for insolvency and restructuring activity are possible, past experience has taught us that where there is uncertainty and financial stress there is a healthy restructuring market ready to respond to difficulties. As such, the eleventh edition of this work continues to be relevant and important, in particular, as a result of the cross-border nature of many corporate restructurings. I would like to extend my gratitude to the contributors from some of the world’s leading law firms who have given such valuable support and cooperation in the preparation of this work, and to our publishers, without whom this work would not have been possible.